If you like the site, please sign up for my newsletter. I'll use it to tell you about new pages and exercises I make, and to send you free grammar articles and tips that aren't on the site. You can unsubscribe any time very easily, and I promise I won't give your email address to anyone. 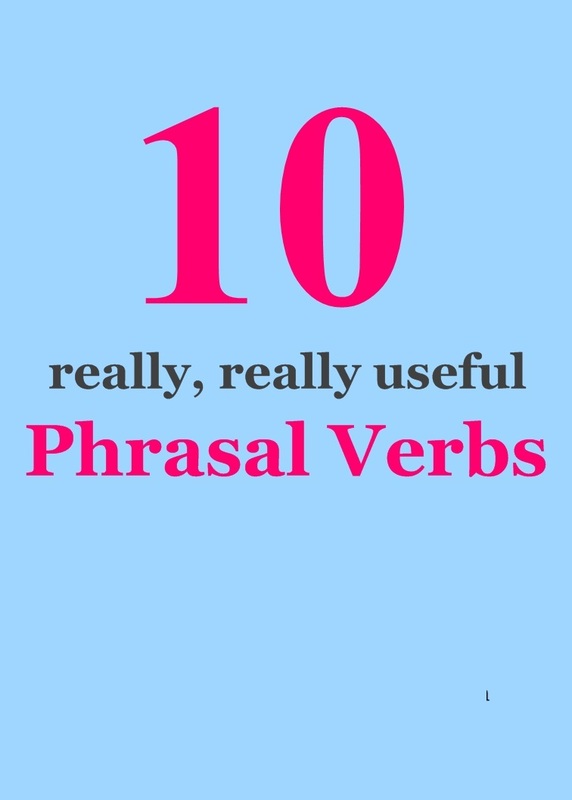 Also, receive my free e-book, 10 Really, Really Useful Phrasal Verbs when you sign up for the newsletter! Lots of clear, in-depth information about these phrasal verbs, including their different meanings, how to put them grammatically in a sentence , and lots of exercises. At the end, you'll feel that you really know how to use all ten very comfortably. Sign up here and get your free e-book!